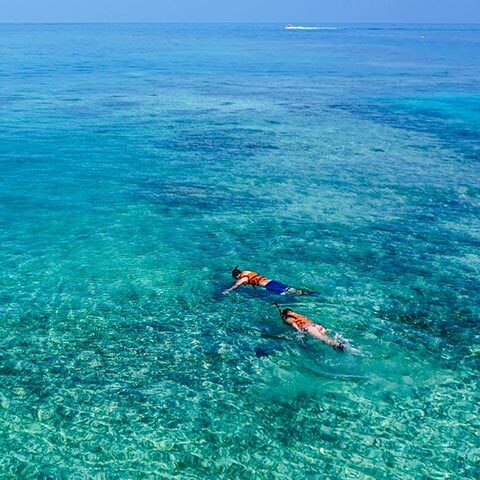 Leave form our lagoon dock at 8:00am and begin with an exciting 12 mile boat ride through the lagoon to the Monkey River. As your guide moves the boat up river you’ll see iguana, birds and perhaps a manatee or crocodile. 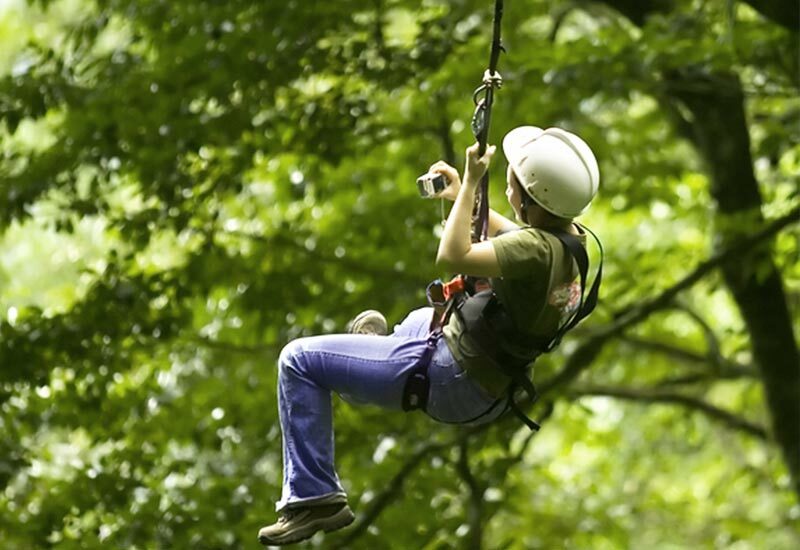 Now hike the jungle trails in search of Howler Monkeys and other rain forest residents. Lunch at Monkey River Town and meet some of the interesting locals of this isolated community. Return about 2 PM. Leaves at 7:30-8:00 AM. 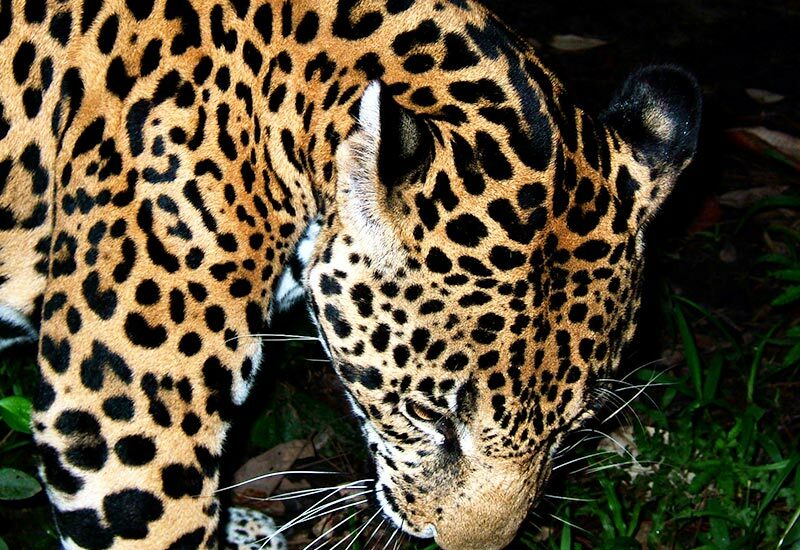 It’s only 25 miles by road to the Cockscomb Basin, the world’s only Jaguar reserve. The visitor’s center houses interesting exhibits of the rain forest inhabitants but you’ll see them up close and personal. 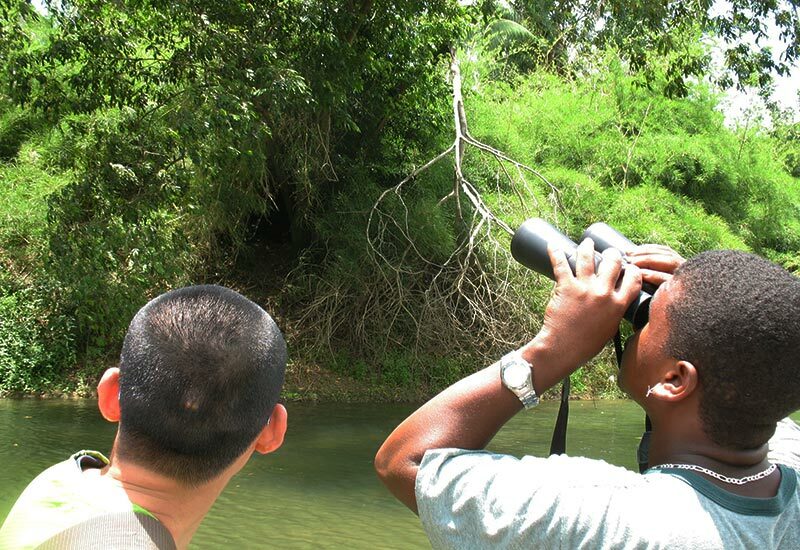 Your guide leads your through jungle trails and points out birds, plants, and animals along the way. After lunch, you’ll swim under a waterfall to cool down before the drive back. You may have time to stop at a working banana plantation. Return about 4 PM. 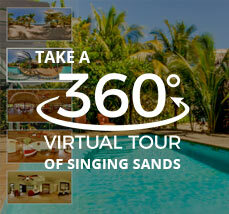 Travel to Toledo District at 7:30 AM for a look at one of the southern Mayan Ruins. 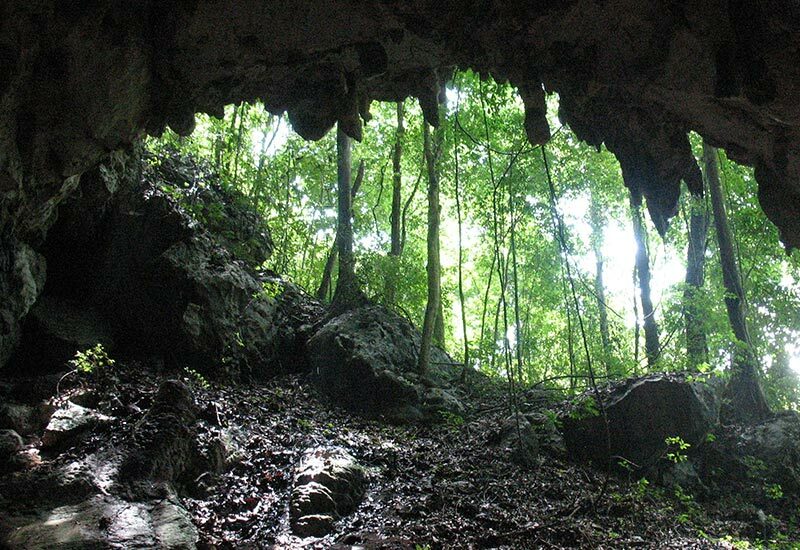 Then continue on the Maya Village of Blue Creek and hike the Blue Creek Cave where you’ll put on a miner’s light and a life jacket to enter the cave through the water. 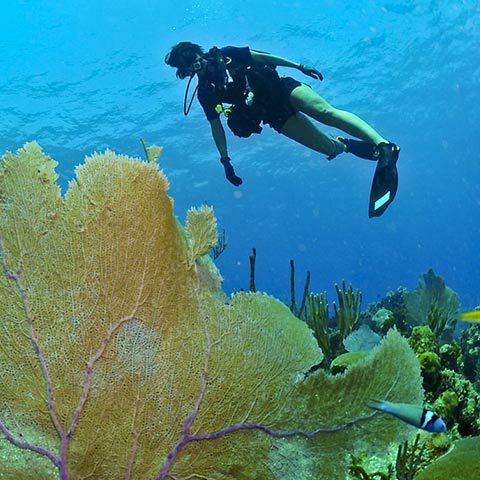 Spectacular and exciting but just for the fit and adventurous. Departs at 7:15AM and returns at 6:00PM. Enjoy a scenic ride up Hummingbird Highway to Blue Hole National Park, home of the cathedral-like dry caves. 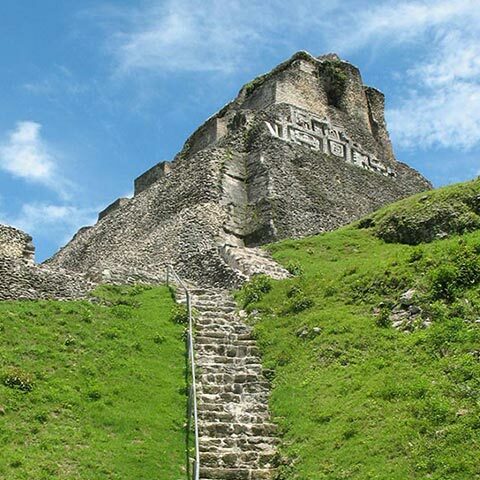 After lunch feel the aura of one of Belize’s largest Mayan sites. 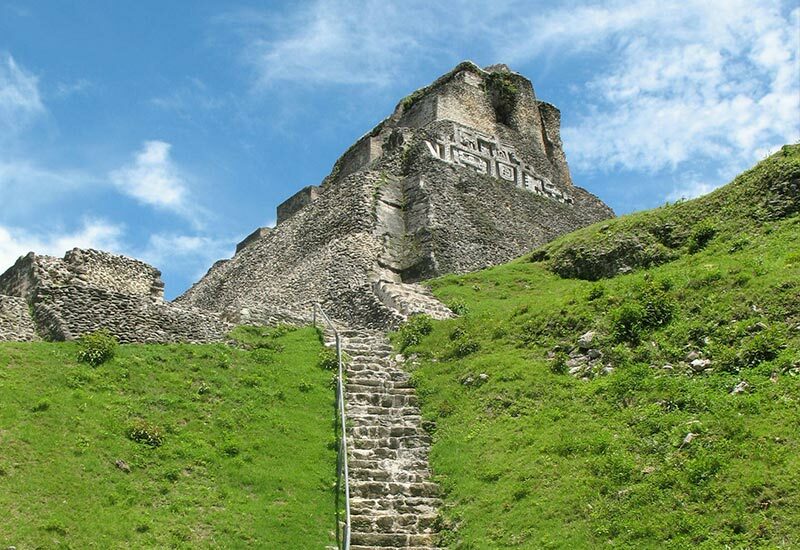 Climb the 130 foot El Castillo for a breath-taking panoramic view! Enjoy the incredible views while soaring 400ft. above a valley in the Maya Mountain foothills along the longest zip line in Belize. Can combine with River Tubing.